The British Summer is almost over, and those pretty, pale Provence rosés that we have been sipping whilst luxuriating in the sunshine will soon be nestled snugly in our wine racks for winter hibernation. However, please don’t despair. The arrival of Autumn means that it is time to crack open those toasty, velvety reds and enjoy comforting, rustic dishes such as Boeuf Bourguignon and Magret de Canard. If you are thinking of a short break this Autumn to sample some of Europe’s famous reds but need a little inspiration, please read on! With wine comes food, and I am pleased to say that the Rioja region certainly doesn’t disappoint here either. Riojan cuisine is characterised by an extraordinary abundance of local produce. 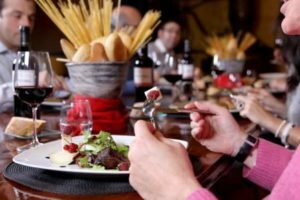 We particularly enjoy the long, leisurely lunches in this region, and mouthwatering traditional dishes include chorizo, cured Serrano ham, chuletillas al sarmiento (lamb chops on vine cuttings) and freshwater Riojan trout. The ambiance is laid-back, festive and lively. One of our favourite activities here is the “tapas run” and this is an obligatory part of any Grape Escape to Rioja. In the quaint town of Logroño, cosy tapas bars run the length of the bustling Calle Laurel, each offering “bite-sized” delicacies that can be washed down with a tasting of a local wine before moving on to the next one. We haven’t yet managed to work our way down the whole street in one night, but will you rise to the challenge? We offer a selection of three and four day Rioja breaks accompanied by our superb local guide, Itziar, who will regale you with fascinating facts and anecdotes as she takes you to visit both traditional, family-run and impressive, modern bodegas, and for those who would like to explore the region in absolute style and luxury, our Exclusive Rioja break based at the 5* architecturally astonishing Marqués de Riscal is the perfect package! And as you will be so closeby, it would be rude not visit Bilbao and the Guggenheim or the breath-takingly beautiful beach resort of San Sebastiàn. 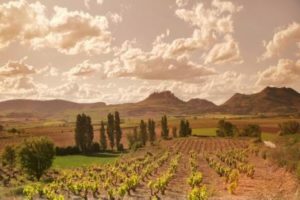 For further information about our our Rioja breaks, please visit our Rioja page, give us a call on +44 (0) 1920 46 86 66 or send us an e-mail at info@grapeescapes.net. I am always excited to talk about Tuscany, as it is one of my favourite places in the world of wine. My colleagues will confirm that I am forever coming up with extravagant excuses to “go and see a new winery” or “meet with a new hotel owner” so that I can regularly get my fix of this visually stuning, idyllic region. 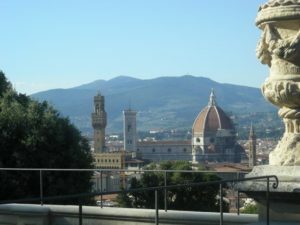 For me, Tuscany is all about romance, and where better to base our tours than Florence? The true birthplace of the Italian Rennaissance and home to some of the world’s most influential and artistic minds, there is something truly magical about walking in the footsteps of Da Vinci, Botticelli and Dante in this perfectly preserved, bewitching city. 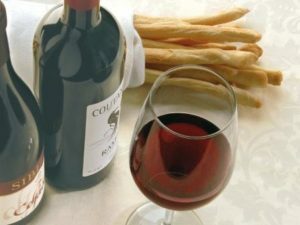 Not only are we spoilt for choice with art and culture in Tuscany, we are also spoilt for choice with wine! 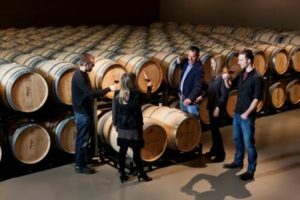 The deep, noble Sangiovese wines produced here are famed for their plummy, dark fruit aromas, and areas such as Chianti, Brunello di Montalcino and Bolgheri have become cult appellations for wine lovers. Not only do they produce tremedous wines, they are also perfectly picturesque, with rolling hills and beautiful, dramatic vistas. Our short breaks to Tuscany have become Grape Escapes best sellers, and we offer a range of packages to suit all tastes and budgets, from just £155 per person. 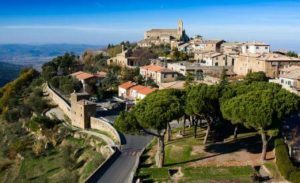 Have a look on our Tuscany page or get in touch on +44 (0) 1920 46 86 66 or at info@grapeescapes.net to create your perfect Tuscan getaway. To keep up to date on our latest news and offers, why not follow us on twitter ? Our twitter name is @GrapeEscapes and you can also keep in touch by liking our Facebook page.